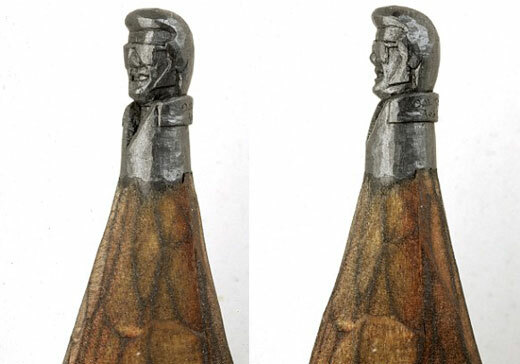 Many artists have used pencils to create beautiful pieces of work – but only one creates stunning masterpieces on the tip of one. 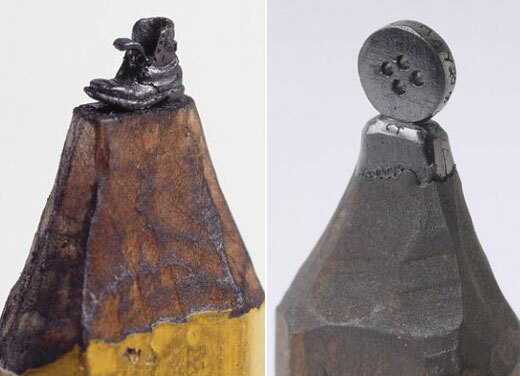 Microscopic artist Dalton Ghetti spends up to two-and-a half years painstakingly crafting each handmade piece on the graphite of a pencil. “Mr. 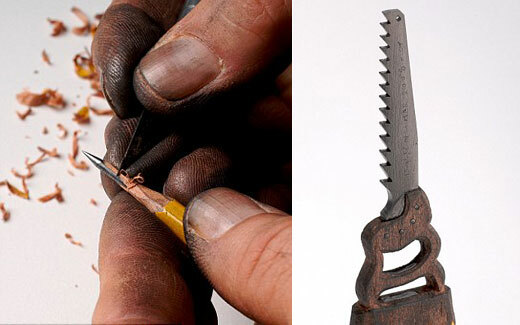 Ghetti, who owns about as many possessions as a monk, is aware how unusual his craft is. He started carving tree bark when he was a child and experimented with everything from soap to chalk before settling on graphite. It’s second nature now, and for 90 percent of his work, all he needs is a sewing needle, a razor blade and a carpenter’s or No. 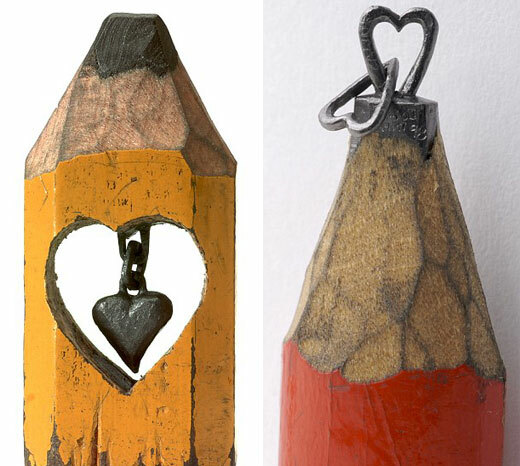 2 pencil. It is really remarkable niche in the art world. 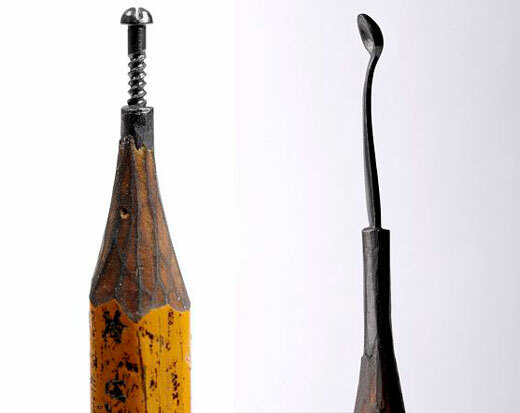 There have been artists who use pencils as part of their craft, but none use the smallest and most fragile part: the pencil lead. Does he need pencils? 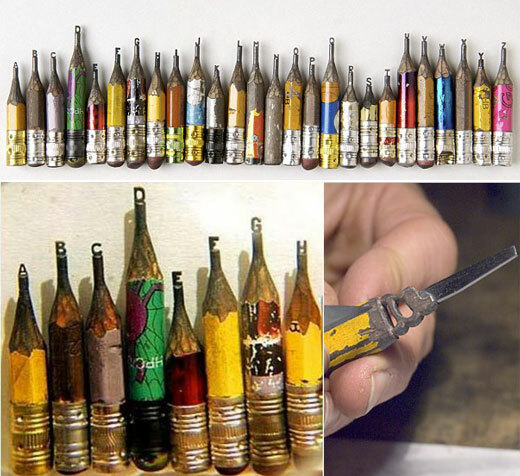 A great project for school kids & teachers that just through their pencils away?